Not the end of the story, though. A state district judge this week dismissed a lawsuit a local activist filed last year against Houston’s ordinance regulating the charitable feeding of the city’s homeless, but the case is proceeding on with a new plaintiff. Phillip Paul Bryant’s original lawsuit had said the 2012 law infringed on his ability to live his Christian faith by limiting how he could care for the poor, but city attorneys argued Bryant lacked the legal standing to challenge the law, as he had not been cited under it. The ordinance requires advocates to obtain permission from property owners – public or private – before giving away food to more than five people in one setting. A new plaintiff, Shere Dore, was added to the case last week, and the updated court filings describe a Christmas Eve 2016 incident in which the city allegedly confiscated food Dore was trying to give to the homeless. I did not blog about this at the time the lawsuit was filed, but here’s a Chron story about it. You may think that finding a plaintiff who had actually been harmed by the law would be a pretty basic thing, but if you read all the way through either of these stories and note who the plaintiff’s attorney was, you can understand why this piece of jurisprudence may have gotten overlooked. I might also argue that if the first relevant violation of the law didn’t occur until over four years after it had been passed, then maybe it’s not really that onerous. But we’ll see about that when the suit gets re-filed. During the height of Hurricane Harvey, school district officials worried enrollments would plummet as thousands of families fled Houston for Dallas, Austin and other drier regions. While many families lost their homes, it seems most relocated within the region and often within the boundaries of their existing school district. Houston ISD, the state’s largest school district, saw only 1,186 fewer students enrolled on Oct. 2 than on the same date in 2016 – a less than 1 percentage point dip. The district does not yet have estimates on the number of students affected by Hurricane Harvey, as the Texas Education Agency is not collecting much of that information until the end of the month. In Clear Creek ISD, enrollment is up about 240 students compared to last year, even after 261 students in school the first week did not return after the storm. Katy ISD, which saw widespread flooding and tornadoes, saw enrollment rise by nearly 2,500 students at the official 10-day count mark, but more than 2,800 students are now considered homeless because of the storm. Guy Sconzo, executive director of the Fast Growth School Coalition and former superintendent of Humble ISD, said it’s surprising so many students were displaced but still managed to stay in Houston-area schools. It’s in stark contrast to the deluge of students who left New Orleans after Katrina and never returned. That’s not to say that all Houston-area or Harvey-affected students stayed in southeast Texas. Dallas ISD enrolled 276 students from Harvey-affected areas stretching from Rockport to Beaumont; Fort Worth ISD took in 112; and Del Valle ISD outside of Austin has 67. Seven storm-affected students went as far as El Paso ISD. The TEA is tracking where all the displaced students are, though what all this will mean in the end is unclear. I hope that the relative lack of dispersal means that student performance won’t be greatly affected, not so much because I care about standardized tests but because the students are sufficiently cared for and healthy that they can do their best. And if not, I sure hope there’s a plan to deal with that, as compassionately as possible. What will this school year be like? School has finally started for most of HISD and many surrounding districts, but with the devastation and disruption of Harvey, what can we expect from this academic year? Many students in Houston ISD lost everything – their homes, their school supplies, their clothes, their toys. Some are staying in the mega-shelters at the George R. Brown Convention Center and NRG Park. Others were flown by military helicopter to Dallas and San Antonio, where they have already started school. Still more are shaken after being plucked from their flooded homes by boats and Humvees. With more than 600,000 Houston-area students set to return to the classroom Monday, teachers and school officials wonder how many will show up – and if they’ll be ready to learn. And at some schools, business as usual will be a distant memory. While school can help provide some sense of normalcy, Obasi said paying attention to lessons and regurgitating a year’s worth of knowledge during hours-long standardized tests could prove much more difficult for flood-affected students. He said the brain’s ability to focus can be severely hampered after experiencing significant anxiety, especially for children and teens’ whose brains are still developing. Obasi said stress can cause a host of physical and mental ailments, from sleeplessness and an inability to concentrate in the short-term to addiction and diabetes in the long-term. Exhaustion is a real concern, Obasi said, as many have issues falling asleep and staying asleep during times of significant stress. On top of that, anxiety can hamper the brain’s ability each morning to release cortisol, a hormone that helps people get out of bed and going, making such tasks exponentially more tiresome for students. Then there are the constant distractions – random triggers that will remind students of the worst days of their lives, questions about where their family will live, uncertainty about where their next meal will come from. There are so many challenges facing HISD this year, from schools that aren’t ready to open and in some cases may never be to teachers who are still dealing with their own damaged houses and cars to students who have been displaced to points unknown. Indeed, quite a few of these students are now homeless, for who knows how long. Jeanne Stamp, the office’s director, said some families have relocated to Dallas and San Antonio but Houston is sure to see their already large number of homeless children balloon. That federal law allows homeless children to either stay in the school they were attending or enroll in the school in the neighborhood where they are currently staying, with transportation costs divided equally between the two districts if there’s a funding dispute. The Texas “Third Choice” law goes even further, allowing homeless students the choice to enroll in any school district in the state, regardless of their school of origin or the location of the place where they are staying. But the state law doesn’t require transportation to be provided, something Michael Santos, an attorney with the National Law Center on Homelessness and Poverty, urged schools to offer in order to comply with the over-arching federal law. For Houston, the transportation issue could be even more heightened as many displaced families are likely to have to commute across the sprawling metro area, between where they want to go to school and where they’re stuck sleeping at night. Hey, you know what one of the ancillary effects of HISD going into recapture was? They lost state funding for transportation. Hell of a time for that to happen, with all these students needing to travel farther to go to school, right? Layered on top of all that is the takeover threat from the TEA if certain campuses don’t show sufficient improvement on the STAAR test. I don’t know how the state can enforce that threat in good conscience this year given the extreme exogenous circumstances HISD must deal with, but as yet there’s been no discussion, let alone decisions, to that effect. The point is that this was going to be a tough year for HISD no matter what, but before Harvey hit you could see a path to holding off the TEA from doing anything undesirable. It’s a lot harder to see such a path now. And as bad as HISD has it, some others have it worse. This is why some folks are petitioning for a halt to STAAR testing for the ISDs affected by Harvey. I don’t think that will get anywhere, and to be honest I’m not sure that it should. But I do know that the TEA and the Lege need to take a far more measured approach to accountability this year. No one – no student, no school, no district – should be penalized for having to go through all this. Score one for the law’s opponents. A federal court on Tuesday temporarily blocked Houston from enforcing its fledgling ban on public encampments, dealing a blow to city efforts to manage escalating tensions between homeless people and the neighborhoods their camps abut. The city’s three-month-old law – passed under intense pressure from residents and council members – bars the unauthorized use of temporary structures for “human habitation” and empowers police officers to arrest violators if they refuse medical treatment or social services. Enforcing that prohibition may, U.S. District Judge Kenneth M. Hoyt wrote, violate the homeless plaintiffs’ Eighth Amendment protections against cruel and unusual punishment. The city ordinance “was not designed to punish homeless people. Rather, it was passed to stop the accumulation of property in these encampments,” Marc Eichenbaum, special assistant to the mayor for homeless initiatives, said in an affidavit filed last week. Hoyt’s order, however, focuses on the law rather than the city’s approach to enforcing it. “The fact that the governmental entity has not fully enforced the alleged unconstitutional conduct does not bar a suit for injunctive relief where the alleged unconstitutional conduct is imminent or is in process,” he wrote. See here and here for the background, and here for a copy of the restraining order. It should be noted that in the complaint filed by the plaintiffs, they also asked for an injunction prohibiting “Enforcement of Houston City Code Section 28-46 (Aggressive panhandling) and Section 40-27(b) (Impeding the use of a roadway)”, but that request was not granted. The city had been lightly enforcing the enjoined provision, which suggests there had been concerns about it from the beginning. I get where the Mayor and Council are coming from, but they need to take this as a sign that they chose an unwise path. I do not want to wake up one day and read that the city is shelling out $500 an hour to some fancypants law firm to defend this thing in court. Find a way to fix this in a way that everyone can live with and move on. The ACLU of Texas announced today that it had filed a lawsuit on behalf of three homeless Houstonian plaintiffs adversely affected by the City of Houston’s camping and panhandling ordinances. Taken together, these ordinances illegally deprive homeless Houstonians of shelter, infringe on their right to free speech and ultimately constitute a criminalization of homelessness itself. See here for some background. The ordinance went into effect on Friday, which is no doubt why the lawsuit was filed on Monday morning. The Chron story adds some more details. The mayor has said the panhandling ordinance doesn’t put an undue burden on free speech, as the ACLU lawsuit contends. [HPD Captain William Staney, who oversees the mental health division] said Friday that Houston police would slowly ramp up enforcement. He said no one was arrested, cited or even formally warned on Friday. However, police eventually would take away people’s property if they keep more belongings than would fit in a 3-foot cube, as the ordinance requires. The police department circulated a memo Friday emphasizing that arrest is a last resort and that officers must first offer access to medical help, addiction treatment and temporary shelter before taking action under the new rules. While the ACLU lawsuit and some homeless people contend that shelters don’t have room, the mayor’s special assistant for homeless initiatives differed on Monday. “We’ve worked with these shelters to make sure that even if a bed is not available that there’s still room for them to get them out from the elements inside where there’s additional services,” said the assistant, Marc Eichenbaum. I agree that the city has done a lot of work to reduce homelessness in Houston, all to its credit, and I think there’s a lot of merit to the push to redirect charity towards support services and away from giving a dollar to people on the streets. Mayor Turner believes this ordinance is compliant with previous court rulings. Obviously, that remains to be seen, and the fact that advocates for the homeless think this ordinance will do more harm than good cannot be overlooked. I would really rather see this get mediated instead of litigated. Surely there are things the city can do to the ordinance to settle this. The Press has more. This happened last week; I didn’t have a chance to really look at it before now. Residents who impede the use of a Houston roadway, or block a sidewalk or building entrance could be charged with a misdemeanor under an ordinance passed Wednesday by City Council. The ordinance aimed at curbing panhandling was paired with a ban on unauthorized encampments in public places – an effort to crack down on homeless camps that have drawn resident and council member ire in recent months. The encampment ban is set to take effect in 30 days. Mayor Sylvester Turner said he thinks the new rules help to achieve a “delicate balance” between ensuring safety and helping the homeless. “The whole notion is to strike a balance between addressing their needs and their concerns and putting them in a better position in their lives, and at the same time the neighborhood concerns in terms of people being in their doorway or blocking the sidewalk,” Turner said. Tristia Bauman, a senior attorney for the National Law Center on Homelessness and Poverty, warned of potential constitutional violations, also saying she thought the laws would be ineffective. Marc Eichenbaum, special assistant to the mayor for homeless initiatives, said the city has worked with groups like Star of Hope and the Salvation Army to ensure there are sufficient shelter beds for the city’s homeless. “For individuals who want to go to a shelter, there is a place for them,” Eichenbaum said. Bauman pointed to those with mental health issues or disabilities who may be unable to go to a shelter. Turner’s plan to curb homelessness, announced last month, also includes proposals to house 500 chronically homeless people by early September and construct alternative, professionally staffed “low-level” shelters under highway overpasses or on private property. These outdoor spaces are intended to help accommodate people who are unable or unwilling to go to an indoor shelter. Here’s an earlier story about what Council had been considering; the proposed ordinance was tagged until last week. As someone who currently works downtown, I can attest that panhandlers are a nuisance, and can sometimes be scary. Houston has made a lot of progress in reducing the number of homeless residents, especially homeless veterans, and part of this program is intended to further that work. There are some details to be filled in, and there are concerns about the legality of this ordinance as well as its likely effectiveness. I’m not sure what to think at this point. In the meantime, there’s also this. Phillip Bryant carries tuna cans and water bottles in his car and often spontaneously delivers them to the poor he sees throughout the Houston streets. However, Bryant, who describes himself as a devout Christian, contends the city’s charitable feeding ordinance prohibits this and also violates his religious rights. He filed a lawsuit Wednesday night in Harris County court challenging the ordinance, which requires advocates to obtain permission from property owners – public or private – before feeding more than five people. Violation of the ordinance is considered a criminal misdemeanor and is punishable by up to $2,000, according to the lawsuit. Although not mandatory, the city encourages those feeding the homeless to register as a food service organization and receive food safety training. The only required step is a person must seek permission from the property owner before feeding more than five people. I’ll be honest, I’m a little unclear as to what the point of contention is here, but I guess we’ll see what the courts make of it. When the Houston Recovery Center turns to the public in coming months for the first time and asks for help, the request will likely seem small and perhaps odd: The city-backed sobering unit wants to raise funds to pay two van drivers. But it’s a request that says a lot about the direction of the center, a place for those whose only crime is public intoxication and who, a year and a half ago, would have gone to jail. The center offers a place to sober up with medical supervision and get help with addiction. The vans are part of what substance abuse professionals call the “warm handoff” principle, the idea that a person who agrees to get help should be quickly shepherded to a detox or treatment center, whatever the next step might be, without pause and with the help of a familiar face. It’s a critical decision easily derailed. And so the center will make its first donation call for about $320,000 to cover drivers, maintenance, insurance and gas for two vans that will transport clients to medical and social services 24/7. Adding the van service would mark a significant milestone in what staff says is an effort to expand the reach of the over-night sobering center the city opened in spring 2013 to reduce jail crowding and free up police officers. Seeing the daily need for addiction services in the city, Kincaid said, has inspired the center to try to offer more long-term care; there are 369,000 people age 12 and older with substance disorders in Houston and fewer than 10 percent currently have access to treatment, according to the most recent National Survey on Substance Abuse and Health. The center’s 18-month treatment program, for those with addiction, is tracking about 150 people through recovery. Of those enrolled in the program, 87 percent are homeless. “The responsibility and the burden is becoming very real for us,” Kincaid said. See here, here, and here for the background. By all accounts, the sobering center has been a welcome addition to the landscape, and clearly there’s no shortage of need for it. To a large degree, you can’t deal with homelessness without also dealing with addiction. We need to make sure the center gets the funding it requires to keep doing what it does and do as much of it as it can. The plaintiffs suing the city of Houston over its charitable feeding ordinance have abruptly dropped a suit they filed over the issue, just hours after the judge in the case recused himself. The ordinance, which requires property owners’ advance written permission for the charitable feeding of more than five people, was one of the most passionate issues debated at City Hall last year. City officials said the measure would help control litter associated with feedings of the homeless and allow for better coordination of such efforts. Opponents decried the ordinance as criminalizing charity. Paul Kubosh, of the bailbondsmen Kubosh brothers who are reliable opponents of Mayor Annise Parker, was the plaintiff in the suit, filed in December, which alleged the ordinance is unconstitutional because it violates the Kuboshes’ Constitutional rights. The Kuboshes religious beliefs, the suit states, encourage them to share food with the homeless in ways that violate the ordinance. The Kuboshes collected 34,000 signatures on a petition that sought to overturn the requirement only on city-owned land, not on private property. The city said they had turned in the petition too late for it to be voted on last fall, a move the Kuboshes said was against the law. Several preliminary motions had been filed in the case by both sides, but last Tuesday the issue took an odd turn when U.S. District Judge Ken Hoyt recused himself from the case without offering a reason and, hours later, Kubosh’s attorney dismissed the suit. Kubosh said he had to dismiss the case because the judge assigned to pick it up was U.S. District Judge Lynn Hughes, with whom the Kuboshes dealt in a similar episode in 2010 and 2011 in which they sought to intervene in a lawsuit related to the city’s red light cameras. The Kuboshes had led the ultimately successful charge to place the cameras on the ballot and have them rescinded. You may be saying to yourself “Wait, what lawsuit? I don’t remember a lawsuit being filed”. I didn’t remember one being filed, either, but it was filed just before Christmas. The plaintiffs are members of Champions Forest Baptist Church and have given and shared food for free “with more than five people at a time on Houston public property” since about 2008. According to the suit, the city passed the ordinance about six months ago and was not open to efforts to get it placed on the previous election’s ballot. More than 34,000 people signed a petition in opposition of the ordinance, however, the city was not swayed, the original petition says. The ordinance carries a jail sentence and a $200 fine for any violations. It additionally asserts that the complainants’ First, Fourth, Fifth and Fourteenth Amendment rights were infringed upon through the passing and implementation of the ordinance. Attorney Randall L. Kallinen with the Law Office of Randall L. Kallinen PLLC in Houston is representing the plaintiffs. The case number is 4:12-CV-3700, if you want to look it up. The only mainstream news coverage I found of this when I googled “Kubosh homeless lawsuit” was on KTRH. That and the timing of the suit is probably why you and I might not have heard of it before now. The last update I had in my blog was from August from when petition signatures were turned in to force a referendum on the ordinance. The problem was the timing – the ordinance had gone into effect on July 1, meaning the 30-day window for a repeal petition had passed, and on top of that the deadline for any item to be placed on the ballot was only a few days afterward, which gave the City Secretary very limited time to verify the signatures. This was the first I’d heard of anything relating to the ordinance since then. Today is the 78th day before the November 6 election. That makes it the statutory deadline for ordering an election, as noted by the Secretary of State. They cite Sec. 201.054 of the Elections Code for this, which seems wrong to me; Sec. 201.051 appears to be more on point, though that still doesn’t specifically address ballot referenda. In any event, assuming they know what they’re talking about, that means today is the last day that a charter amendment referendum can be added to Houston’s ballot for November. So, even if the City Secretary has finished certifying the petition signatures for the measure to overturn the homeless feeding ordinance, unless City Council approves it today, the item is moot. It can’t be voted on this year. Moreover, since there were two charter amendments in with the bond referenda, if those charter amendments are approved, there can be no more charter amendments put on the ballot for two more years. And since Election Day in 2014 is November 4, which is not quite two years after this year’s election on November 6, the next available time for a charter amendment election would be May of 2015. There were at least two more charter amendments that had been potentially on tap for this year that will also now have to wait. There were a pair of anti-immigration proposals for which signatures were collected but apparently never submitted. I can only presume they did not get enough signatures, which makes me happy. Of course, if Dan Patrick gets his way and passes a “sanctuary cities” bill then it ultimately won’t matter. The other was a referendum to overturn the 2001 charter amendment that bans the city from providing domestic partner benefits to its employees. As far as I can tell, no effort to collect petition signatures for that was ever launched. I’m pretty sure the Lege will not intervene on this matter before May of 2015, so it will have to wait for the next electoral opportunity. Those are the ones I recall, anyway. If you know of others let me know. There’s plenty of signatures, but no guarantee that this will make it onto the ballot. Activists seeking to repeal a new law requiring City Hall’s permission to serve charitable meals on city-owned land turned in 34,000 petition signatures on Monday asking that the issue be put to voters in November. Despite the passion surrounding the issue from feeding groups, clergy and others who decried the ordinance as the criminalization of charity, City Attorney David Feldman said it was too late to get the issue on the ballot. He said the deadline was July 1, the day the law went into effect. Wrong, said Paul Kubosh, one of the petition drive’s organizers. “This ordinance is dead. It’s just a matter of how hard and how much political capital will City Council spend to fight the people,” Kubosh said at a news conference in the City Hall rotunda. The standoff sets the stage for a replay of the legal battle set off by the petition that called for the November 2010 election that outlawed the use of red-light cameras in Houston. Kubosh was also a key player in that battle. In that case, the election went forward but a federal judge later invalidated it because the petition was turned in too late. However, the ruling is no longer in effect, with both sides claiming victory. Feldman says the legal principles embodied in the court ruling still apply, while attorney Randall Kallinen, who sides with Kubosh, says they don’t. As noted before, if this becomes law it will leave in place the requirement that organizations get permission from private property owners before setting up a place to distribute food to homeless folks. Again, for all of the fuss over this, I don’t think that part of the ordinance was ever truly controversial. The question is whether permission is needed for doing so on city-owned property. I have no intention of re-litigating any of this, I’ll simply repeat my assertion that if this does get on the ballot, I believe it wins easily. The proponents have many times the energy, desire, and strength of opinion on this. The question is whether or not it belongs on the ballot. The distinction Kubosh and Kallinen make that this is a charter amendment that happens to overturn – in this case, modify – a city ordinance and not a referendum to repeal it is one that Judge Hughes specifically rejected in his red light camera ruling. I’m not a lawyer, I can’t give you an opinion as to why this time it’s different. I’ll wait for a judge’s ruling like everybody else. Again, assuming it gets that far. There are at least two more obstacles that I can see, one of which is mentioned in the story and one of which is not. Council faces a deadline under state law of Aug. 20 for placing items on the Nov. 6 ballot. City Secretary Anna Russell said Monday that it generally takes her office two weeks or more to count and validate so many petition signatures before they can go to council. Because the Texas Open Meetings Act requires a 72-hour advance notice of a government meeting, her office would have to finish the job in four days to provide for proper notice. “Even under the best of circumstances I don’t see how in the world that could be done,” Feldman said. Lt. Commander Geordi La Forge: Look, Mr. Scott, I’d love to explain everything to you, but the Captain wants this spectrographic analysis done by 1300 hours. So the question to ask is whether Anna Russell is more like La Forge or more like Scotty. I’ll leave that for you to debate. As for the other obstacle, given the August 20 statutory deadline for putting a referendum on the ballot, it seems to me that a tag by any Council member would settle the issue regardless of what a judge might say. I have no idea if any member would be inclined to do that, I’m just saying that one of them could. Houston Politics and Campos have more. As you know, I have been running a series of guest posts on a variety of topics. When I invited Nick Cooper to write about his experiences with the homeless feeding ordinance, I also contacted the Mayor’s office to ask if there was someone they could point me to that would write about their experiences. Ultimately they sent me the following, which came from their office. Contrary to the inaccurate information being circulated by various groups and individuals, it is not illegal to feed the homeless in the Houston. The City appreciates those who take part in the charitable act of providing food for those in need and agrees that such activities are of benefit to the health, safety and welfare of our community. There is recognition that those who are unable to provide food for themselves often must be fed outdoors by entities dedicated to providing charitable food service. There are no restrictions on an individual who is moved to share food with another. It applies only when sharing food with six or more. The city also recognizes the rights of property owners. There are 38 known local groups and organizations that provide food service to the homeless or others in need of a free meal. Some of these organizations, like the Star of Hope, Palmer Way Station, Bread of Life and the Salvation Army, feed inside their facilities. They have licensed kitchens, trained volunteer staff, are in compliance with the city’s health and safety standards and they feed the hungry on a well-known and routine schedule. Unfortunately, there are many other street food service operations that do not adhere to routine schedules. For example, there is one location, east of I-59 near the convention center, at which a dozen different charitable organizations line up every Saturday morning all seeking to provide breakfast to the same group of people. There is more than needed for the homeless who show up. In the end, a lot of it winds up left behind on the ground – creating a nuisance for property owners. No one wants to see our streets littered with trash. With the above principles in mind, Houston City Council last spring amended Chapter 20 of the Code of Ordinances. The only mandatory addition to the revised ordinance is a requirement to obtain written permission from a property owner, public or private, before utilizing the property for charitable food service. Again, despite arguments to the contrary, this new requirement is not onerous. In fact, three organizations have requested and been granted permission from the Houston Department of Health and Human Services Department (HDHHS) for food service events at a city-owned property at 205 Chartres Street. The amended ordinance also created the voluntary Recognized Charitable Food Service Provider Program. This voluntary initiative, jointly coordinated by the Coalition for the Homeless of Houston/Harris County and HDHHS, put in place a process of coordination, training and recognition for those individuals and organizations which provide such food services. The goals are to improve the quality, quantity and availability of food for those who may not have the resources to provide for themselves. In short, its aim is to coordinate volunteer efforts so that the needed amount of food is available at known serving locations. There has been good response to the free-of-charge food safety classes. The first classes were held at HDHHS on June 7 and at The Beacon on June 23. Staff from the Coalition explained the Coalition’s role in the program, and HDHHS staff provided the food safety training. Twenty four people, representing thirteen organizations, have attended a class to date. Future classes are scheduled for the 4th Saturday of each month through November at The Beacon. To register for one of these classes call HDHHS at 832-393-5100. Information about the program is also available at that number or on the HDHHS Website, http://www.houstontx.gov/health/homeless.html. The names and addresses of organizations that abide by the above requirements will be listed on the City’s website. In addition, they will be entitled to use their designation as a Recognized Charitable Food Service Provider in their publications. Registration and coordination of street feeding operations is not a new concept. Ten of the largest US cities already require it, and nine of these cities also require routine inspection for adherence to public health standards. In Houston, we took a Houston approach. We identified a problem and then listened to the community for feedback. The end result is a workable program that allows for coordination and ensures property is not abused. This approach in no way inhibits the many acts of charity conducted daily by Houstonians. Depending on how you look at it, time is either running out for the petition signature gatherers who hope to overturn the homeless feeding ordinance, or it isn’t. Free to Give Houston, a recently formed political action committee, needs about 28,000 registered voters’ signatures to trigger a charter amendment election in November. The group sent out 30,000 letters last week urging voters to sign the petition. Houston attorney Paul Kubosh, who formed the committee with his brother, Randy Kubosh, said the ordinance is an example of local government overstepping its bounds and ignoring the will of the people. City Attorney David Feldman said the only approved way to challenge the ordinance is by referendum. A petition with 12,362 signatures would have to be submitted within 30 days of the ordinance’s passage or any time prior to the effective date. The deadline for the latter is the end of this week. However, Paul Kubosh said residents can seek a charter amendment under state law, which trumps the city charter. As a result, there is no petition deadline, he said, and the opposition plans to submit a petition by July 30. See here and here for some background. The requirement to have signatures collected by either the ordinance’s effective date or 30 days after passage was the basis for Judge Hughes’ ruling in the red light camera lawsuit that invalidated the 2010 referendum. It was suggested prior to that, and prior to Council’s vote to put the referendum on the ballot, that a charter amendment, which has a higher signature requirement but no similar deadline, would have been a valid path, and that seems to be the route the Kuboshes are taking. That’s not clear to me, and I don’t think the matter was directly addressed by Hughes or by the dismissal of the city’s lawsuit against ATS. What I’m saying here is that I foresee another date before a judge in the city’s future. I welcome speculation on this from the lawyers in the audience. Backers of the current petition drive argue that public property is owned by citizens and therefore they shouldn’t have to ask the city for permission to use it. “We have a huge problem asking the city for permission to feed the poor,” said Manuel Sanchez, a volunteer with Simple Feast, a church ministry. I agree that public property is owned by the citizens, but that includes the citizens who want to use that property for something other than feeding the homeless, too. How are we to settle a dispute that arises from such a conflict? “We were here first” seems lacking to me. Feeding the homeless is a noble purpose, but that doesn’t mean less-noble purposes have to be subordinate to it. I understood the objections to a lot of the other provisions that are now not in the homeless feeding ordinance, but this one I confess I just don’t get. Activists against Houston’s new restrictions on feeding the homeless plan to mail around 30,000 letters Friday to urge voters to sign a petition to trigger a charter amendment election in November. Okay. Some percentage of those letters will be received and read. Some percentage of those who read the letters will be inclined to do something about it. You then have to actually get a petition in front of those people to sign, all by July 31. I’m not saying they can’t do it, but there’s a lot to be done between posting the letters and presenting the petitions for certification. We’ll see how it goes. Hair Balls has more. The petitioners have until July 1 to gather their signatures because that’s when the ordinance goes into effect. City Attorney David Feldman just informed me that petitioners have the longer of either 30 days following an ordinance’s passage or until the ordinance’s effective date to gather signatures. In this case, it’s the latter. So if the signatures get turned in by July 1, City Council will not be able to point to the ruling — moot though it is – even as a basis for declining to put it on the ballot. So a coalition of civil libertarians and charities against the feeding ordinance plan to proceed in hopes of gathering 28,000 signatures to give voters the opportunity on the November ballot to overturn the feeding ordinance passed in April. It requires anyone who wants to feed more than five people free meals to get permission of the property owner before doing so. Randall Kallinen, a civil rights attorney who is leading the repeal drive, said he believes that since the red-light camera election’s validity remains intact because of the ruling by U.S. District Judge Lynn Hughes has been set aside, people are free to challenge ordinances even more than a month after the fact. 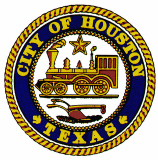 The City of Houston shall not criminalize or penalize any person or organization for, nor shall any group or individual be required to receive permission from or register with the City of Houston before, feeding or sharing free food with any other persons on any and all public property, rights of way or easements for which the City of Houston maintains jurisdiction. Such language does not overturn the ordinance’s requirement that feeders receive permission from the owners of private property on which charitable meals are served. By limiting the language to the City of Houston property it also leaves in place the requirement that feeders get pre-clearance from other government agencies before using those agencies’ property for charitable meals. For example, permission from the Texas Department of Transportation would be necessary to hand out meals to more than five people at a freeway underpass. They started Tuesday, so they have a bit more than five weeks to collect 28,000 valid signatures. Given the need to have a buffer to allow for some duplicates and invalid sigs and whatnot, they’ll need to average about 1,000 signatures a day for that time period. I think if they succeed in getting this on the ballot they will win easily, but I have no idea if they can collect those signatures in time. I’m no lawyer, but Kallinen’s assertion that the time limit isn’t in effect because the red light camera ruling was set aside seems specious to me. Even if there isn’t a legal precedent now, the basic facts are the same. If it comes down to it – for instance, if Council declines to put it on the ballot because the July 1 deadline was missed and Kallinen et al sue – I don’t see why some other judge wouldn’t reach the same conclusion as Judge Hughes. Am I missing something here? It’s interesting to me that the scope of the petition is so narrow. In part, that’s because the ordinance itself is pretty limited. But for all the hue and cry at the time of its passage, the activists involved here have conceded the point that permission is needed for private property – I daresay that few people would disagree with that – and have also drawn a distinction between city property and property owned by other government entities. I suspect that’s more a practical matter than a theoretical one, since their beef has mostly been about access to city parks, but it still strikes me as a bit odd. Be that as it may, one reason why I think this will be an easy win if it makes it to the ballot is that I doubt it will be presented in such narrow, specific terms in a campaign. It’ll be about freedom and principle and compassion and so forth. Which is fine – I don’t have any problems with this ordinance, but I’m not going to expend any effort defending it if it comes to that. I mean, given what a lousy job the ordinance’s proponents did presenting and explaining it to the public in the first place, I seriously doubt anyone will expend much effort to defend it. I don’t feel nearly as strongly about this as the ones who are spearheading the petition drive, and as such I believe they will prevail if they can beat the clock. We’ll see if they can. It’s at 6:30 PM at the Christ Evangelical Presbyterian Church, 8300 Katy Freeway. You can see a map here and the flyer for the town hall here. Judging by the organizers and the fact that the email I was forwarded about it was sent by CM Brown’s office, I’d say it’s likely to predominantly favor the opposition to the ordinance. Of course, nothing is stopping the proponents of this ordinance from holding their own town hall meeting, if they’re interested in people hearing their perspective, or from attending this meeting if they choose. It’s there if you want to go, so go if you want. As Neil noted, some of us had the opportunity on Friday to ask Mayor Parker questions over lunch on Friday. Not surprisingly, the homeless feeding ordinance came up, and we spent quite a bit of time discussing it. The Mayor shared a lot of information about the ordinance and its history, most of which I’d say none of us knew about before. I don’t know if she changed anyone’s mind – Neil, clearly, remains unconvinced about it – but I certainly felt like I understood it better afterward, and I daresay everyone else there did as well. That’s good for us, but everything we heard needs to be much more widely disseminated and discussed, because as I’ve been saying there’s really only been one side of this issue out there for people to hear. I wasn’t taking notes and I don’t want to attribute anything to the Mayor that I can’t be sure about, so I’ll be brief and broad about what I heard. There were numerous meetings with various stakeholders such as organizations that provide services for the homeless as well as neighborhood interests, all of whom wanted to encourage a more efficient means of providing services to the homeless and to deal with some of the problems that they were facing with the way things were currently being done. The ordinance passed unanimously out of committee; it was only after it passed out of committee that the crap hit the fan. Mayor Parker said they were completely blindsided by the opposition, and dropped the ball in responding to it. I certainly agree with that, and as I said before, there’s plenty of blame to go around for that. But even if there weren’t now a movement to try to repeal that ordinance, we would still need to be talking about what it is and isn’t, and why it was brought up in the first place. I’ve been complaining about how no pro-ordinance voices have been heard in the coverage of this story, so I made an effort to try and find a few such voices. One person I heard from lives in EaDo near Congress and St Emanual where there’s a soup kitchen that draws a large crowd at night. He named several problems that he has had to deal with, including trash – both he and Mayor Parker cited a figure of $175,000 that the East Downtown Management District has had to pay to clean up the trash resulting from food distribution; people urinating on his and other people’s property since there isn’t any other place for them to go; traffic being blocked by the sheer number of people showing up to be fed; and drug dealers showing up to take advantage of the opportunity presented by the large crowd. The gentleman stressed that he wants homeless folks to get the help they need, but not literally in his front yard. (My paraphrase, not his words.) He said he testified for the ordinance before Council and that he believed it would help him with his situation. Advantage BMW is located in an area with a significant homeless population (1300) and a concentration of 15 non-profit agencies that provide services to them. Yet, many well-meaning citizens drop by to provide them with food. This sometimes occurs even when they are in-line for services from one of the nearby non-profits. Due to our location, we see many citizens dropping by and offering food and supplies to our homeless neighbors. This creates a sense of chaos that includes litter, unhygienic conditions and a desire to remain in the area. Our company, like so many other businesses, is committed to caring for Houstonians. However, we believe that the Ordinance recently passed by City Council is a step in the right direction to coordinate services in the best interests of those that need them most. I had a few other inquiries out about this, but these are the responses I was able to get. You can make of them what you will, and however you take their words the ordinance that was actually passed may or may not be a good idea and may or may not achieve the goals that they hope it will. I’m just trying to understand this a little better, and to do that I need to know more than I did at the time this thing passed. What I’ve learned is that there’s a neighborhood aspect to this that has otherwise been completely ignored in the reporting. Whatever else you may think about this ordinance, neighborhoods asking for help dealing with their issues is as common an occurrence at Council as anything. Again, you can evaluate their claims as you see fit, and you can agree or disagree with the remedy that has been passed. All I’m saying is that we can’t have a productive conversation about how we got here and where we should go from here without having full information. I hope I’ve helped take a small step towards achieving that. I hope others will join me in that. The frustrating thing through all of this is the misinformation and misunderstanding about the original ordinance. The Mayor did nothing to stand her ground. Instead, opponents took over the debate and defined the message in the media as this being an attack on religious freedom (despite that claim as having failed in other parts of the country when similar ordinances passed). The media also had their minds made up ahead of time. In fact, InnerLooped was contacted by a local news station (we’ll keep it anonymous) about participating in a prerecorded debate against one of their anchors who was against the ordinance. While a “prerecorded debate” against one of their own anchors worried us about possible fairness (would they really air us proving their own anchor wrong? ), we declined mainly because we believed it was up to that news outlet to have the Mayor or a supportive Council member explain it. That said, we found it interesting that instead of presenting the facts (or exploring how other cities have handled this issue), it was more important to have their anchor present their personal views on the subject. It remains the case that every story I have read about this ordinance has failed to include even one quote from someone explaining what this ordinance was for and why they believed it would be helpful for them. As Inner Looped says, that’s a big fat failure on the part of the Mayor’s office – I get every email they send out, and I did not see a single communication relating to this ordinance until a couple were forwarded to me on Tuesday. I have no idea what they were thinking during this process. As far as the media goes, did Bob Eury go into radio silence or something? Surely there was one person from Midtown or Downtown or EaDo that could have supplied a pro-ordinance quote. For that matter, where were the representatives from Star of Hope and the other organizations that were said to have favored this? How can anyone get a fair picture of what this debate was about in the utter absence of this perspective? I am just boggled by the whole thing. Remember, they have thirty days to force that referendum. I’m too full of ennui to bother figuring out how many signatures they’d need, but I daresay it’s fair to say that it will be a challenge. We’ll know soon enough if it’s going to happen. Mayor Parker does a third revision of the controversial proposed ordinance about feeding the homeless. Parker has whittled an original proposal that would have set rules on preparation, storage and server training down to a plan that mandates only that groups get written permission from the owner of the property to serve meals there. If the property is a city park, the rule still would apply, with permission granted or denied by the city parks director. Councilman James Rodriguez, whose District I includes downtown, said that although the proposed rules have been scaled back, “We need to start somewhere.” A long-term strategy to alleviate homelessness also will have to include more money for mental health services and long-term housing, he said. 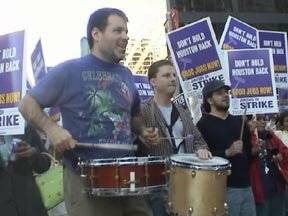 “Anybody that wants to share food anywhere has to have written permission,” said Nick Cooper of Food Not Bombs, which serves meals four times a week in the plaza of the Central Library and has submitted a substitute ordinance seeking a commitment from the city to provide more trash cans and public bathrooms downtown. According to City Attorney David Feldman, the new ordinance is needed because current laws have “proven ineffective in preventing the sanitation problems that accrue at popular feeding sites” and because as things stand now “the onus is on the property owner to confront and report trespassers”. Stace calls this a “better explanation of a bad idea”. I don’t think it’s an adequate explanation, and as such I can’t say if it’s a good idea or a bad idea. Are there any examples the city can provide of property owners who were bothered by trespassers and couldn’t get the cops to do anything about it for whatever the reason? Putting it another way, is there someone who can testify that this proposed ordinance would help them? We’ve heard quite a bit from those who say that each version of this ordinance would hurt them, and they make a statement that is both powerful and un-answered. When we were talking about food safety and litter, there was at least an intuitive reason for this ordinance. I don’t feel like I have that any more. Who is this ordinance for? I posed those questions to the Mayor’s office via email, and am awaiting an answer. I don’t know why that information wasn’t front and center from the beginning, but that’s neither here nor there at this point. I do have these two documents from the Mayor’s office with background information about the ordinance and a report on Charitable Food Service prepared by Marilyn Brown, President and CEO of Coalition of the Homeless Houston and Harris County; I also emailed my questions about the ordinance to her. That document summarized four focus groups done with different audiences that have a stake in this discussion – current and former homeless individuals; downtown businesses and management districts; faith-based and volunteer organizations that feed the homeless; and other service providers who also provide food. It’s pretty informal but has some interesting data nonetheless. Neither document answers my question, but they tell me a lot more than I knew before. We’ll see where this goes from here. 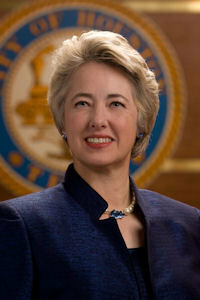 After a community outcry protesting what opponents call the criminalization of charity, Mayor Annise Parker announced this afternoon that she will not seek a vote Wednesday on her proposed regulation of the feeding of homeless people in Houston. Parker’s original proposed regulations would require charities to register with the city, have a member take a food safety class, prepare food in city-approved kitchens and limit feedings to three public parks and on private property only with the owner’s written permission. Spokeswoman Janice Evans said the mayor already has a revised ordinance ready to present to Council tomorrow and will ask Council to delay consideration of it until after she returns from a trade mission to Brazil at the end of the month. “This is exactly how the process should work,” Parker said in a released statement. See here for some background, and here for the Mayor’s statement. I think we can all agree that ensuring that public spaces are cleaned up and that food is handled safely are worthwhile goals. Let’s focus on those things, and on getting all of the people who will be affected by this involved and in agreement with any ordinance that gets proposed. Neil has more. Since we’ve been talking about homelessness recently, I thought I’d take note of this. Houston-area homeless programs will receive nearly $2.8 million in federal funding as part of an Obama administration plan to confront homelessness. The U.S. Department of Housing and Urban Development on Tuesday announced that more than $200 million will be allocated to some 700 new homeless programs nationwide. Three Houston organizations were chosen to receive the funds; $1.4 million will go to Houston Area Community Services, $1 million will go to the Salvation Army Greater Houston Area Command, and $395,000 will go to Fort Bend Women’s Center. To receive funding, organizations had to apply through the Coalition for the Homeless of Houston/Harris County and needed to meet two requirements. “The purpose of the program has to be in offering permanent housing,” said Pamela Wyatt, a director at the coalition. You’ve probably heard about this by now. If you’re looking for WiFi at the South by Southwest tech conference this week, instead of heading to a cafe or bumming off of a neighbor, you might just ask a homeless person. That’s right. New York-based advertising agency BBH Labs introduced a trial run of its new project, called “Homeless Hotspots,” at the tech startup conference in Austin, which started Friday. While potentially practical, the pilot program isn’t exactly getting rave reviews from everyone. Those who wish to connect to the 4G network offer a donation that goes directly to the homeless person. BBH Labs recommends a $2 donation per 15 minutes of use—which can be paid through PayPal—but leaves the ultimate payment up to each Internet user. Okay, I can see what they’re going for here. Jeff Balke raises some objections. On one hand, I really admire the effort. This company is finding a way to help struggling people by filling a need for those clearly not struggling. Let’s be honest, if your biggest problem is a poor wi-fi signal for your phone on the streets of Austin, you’re doing better than about 80 percent of the world’s population. I suppose it gives people an excuse to give money to someone on the street who needs it more than that person giving it does and it provides a service in return. In a way, it turns homeless men and women into street vendors. It doesn’t pay much but it is work. Still, I just can’t get behind the notion that people on the street should walk up to a homeless guy wearing a “HOMELESS HOTSPOT” billboard and ask for access to his network. If they were paying college kids to stand out on the streets, fine. But, homeless people? It also underscores the tremendous divide in our country and not the digital one. We’re talking about people with every opportunity and every advantage paying a poor person a couple bucks to use technology a company has strapped to his back the homeless man could never come close to affording. For a couple bucks, some guy gets to keep from bumping up against his cell phone’s bandwidth limit while the guy he paid for the service is living in a shelter. Weird. Then there’s the term: homeless hotspot. 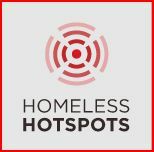 First off, the hotspot isn’t homeless, the person carrying the technology is. It’s the equivalent of calling a disabled person selling cookies “crippled cookies.” That alliteration isn’t clever. It’s stupid. Also, he’s not a hotspot, he’s a person carrying a hotspot. That ridiculous name doesn’t do anything but dehumanize this person who likely gets that kind of treatment virtually every day. That’s all very compelling, but here’s Matt Yglesias with a different perspective. Now the general idea of PR stunts is to generate positive publicity, which this massively failed to do. However, the negative reaction to this sort of thing always drives the more literal-minded of us slightly crazy. Think about all the companies involved in one way or another in SXSW who did absolutely nothing at all for Austin’s homeless population. How much condemnation did they get? None. BBH’s stunt here offends our sense of human dignity, but the real offense is that people were languishing in such poor conditions that they would find this to be an attractive job offer. The sin they’re being punished for is less any harm they’ve done to homeless people than the way they broke decorum by shoving the reality of human misery amid material plenty into the faces of convention-goers. The polite thing to do is to let suffering take place offstage and unremarked-upon. Now that the program’s over, the Austin homeless services organization Front Steps, which connected BBH with its clients, has pronounced it a success. [As] KXAN, NBC’s affiliate in Austin, reported, homeless people are also out during SXSW selling Blue Bell Ice Cream, a program run by Mobile Loaves and Fishes. Each treat is $1, and the vendors keep all proceeds (Blue Bell also donated the ice cream). It’s just a lot easier to be cynical about Internet marketing than ice cream. But the truth is that without the brazen—and potent, given that at SXSW, the whole world lives online, and the homeless want to get back in the world—metaphor, it’s not as good a marketing campaign. What do you think? Buzzfeed and BOR have more. UPDATE: Jon Stewart weighs in. You really need to read this Houston Press story about homeless students and how one HISD elementary school tries to deal with them. Of the 800 kids at Grissom Elementary, 300 of them — or 37 percent — are classified as homeless (a number not reached until the end of the school year last year). And Grissom isn’t unique or even the school with the most homeless in the Houston Independent School District — that distinction probably goes to Ruby Thompson, which is tied into the Star of Hope family shelter. They can be classified as homeless while they’re still in their houses or apartments but have no utilities because the family can’t afford to pay for them. “You have the shell of the house, but you have no running water, no electricity; you’re basically camping in the house,” said Peter Messiah, head of the HISD Homeless Education Office. Across the sprawling urban-suburban-rural district that is HISD, there are 3,000 kids identified as homeless, Messiah said. He predicts with confidence that actually there are a lot more with families too embarrassed to “self-identify,” to say they have no place to call their own. At schools with heavy percentages of homeless kids, problems and needs occur that aren’t going to happen en masse at, say, a River Oaks or West U elementary. Sometimes the nonacademic endeavors include combing out a girl’s hair in the morning when a depressed parent has abandoned the task or whisking someone off to the restroom for a quick scrub when personal hygiene has lapsed. A kid who shows up in shorts on a freezing day is taken to the counselor’s office, where Deborah Coleman dips into her closet and comes out with something warm. “We have extra coats. We have extra food. We do a lot of work with the whole child and not just the classroom piece of the child,” said Principal Cynthia Smith. They even teach elementary-age kids how to wash their own clothes in the sink at night. It’s heartwarming and heartbreaking at the same time. Read it and see for yourself. Kudos to the Press for reporting on this.